New York Times best-selling author William Kent Krueger has won numerous accolades for his books, including the Anthony Award for Best First Novel. 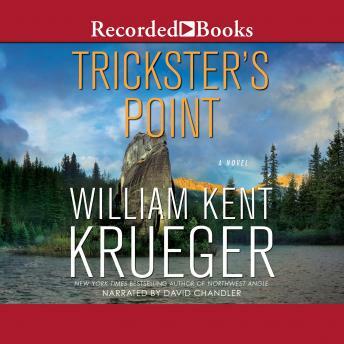 In Trickster's Point, the 12th suspenseful installment in Krueger's Cork O'Connor series, Cork is framed for the murder of Minnesota's first Native American governor-elect, Jubal Little. As Cork fights to clear his name and uncover the truth, he discovers that events from his own past may hold the key to the real killer's identity.